Hopefully, a film about the disastrous Malaysia Airlines MH17 crash probably won't be hitting theaters anytime soon. But one company seems to have had its eyes fixed on potential of this (extremely recent) tragedy: according to The Sydney Morning Herald, a Kuala Lumpur company has applied to trademark the term "MH17," for a range of possible uses. And they were quick to the game, too — they reportedly applied less than a day after MH17 went down, killing all 298 passengers on board. To make matters worse? They're actually not the first. Not much is known about this seemingly shady company. According to the Daily Mail Australia, the company, Remit Now International, doesn't have a website. The people in charge of it aren't named, and they don't have any contact details listed. Even more weirdly, the business is apparently registered to an apartment complex in Kuala Lumpur — but it also has a post office box in Australia. According to reports, on July 18, this mysterious business applied to the Australian Trade Marks Office to have the term "MH17" trademarked for Class 41 services — a protection which applies to almost everything, from movies to documentaries to video games to musicals to live performances to educational books. So it's not just a blockbuster the company may have set its sites on, it might have been hoping to create an MH17 exhibition. Or museum. Or textbook. We're unlikely to ever find out, though, because four days after the tragedy occurred, Malaysia Airlines took matters into their own hands. 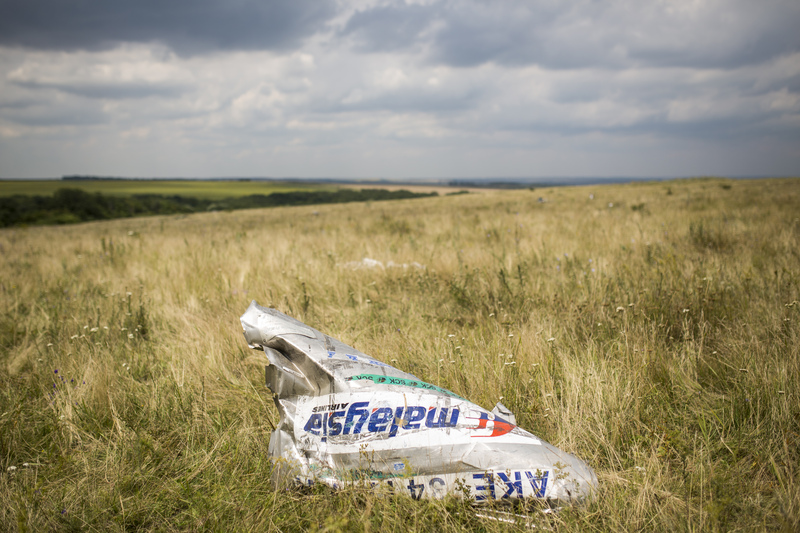 "Malaysia Airlines has started the process of filing the trademark over "MH17". The purpose is to ensure no party takes advantage of the tragedy for their personal gains," a Malaysia Airlines spokesperson told Daily Mail Australia. It's probably a wise move. In Australia, anyone who owns a trademark can stop people using the same — or even a similar — trademark within the country. Which means that if someone wanted to use the word "MH17" for any reason, pretty much, they'd have to pay the mysterious Remit Now International for the right to use it. And Remit Now International wasn't alone in jumping on the MH17 trademark-train. Earlier this week, a similarly unknown company in the Caribbean also attempted to trademark 'MH17,' but this time in Europe. This company, called Seyefull Investments Ltd, reportedly applied to the European Trade Mark and Design Network on July 17 itself, according to Digital News Asia. In fact, this horrifying-sounding step of trademarking and profiteering is far from unheard of — let's not forget that back in March, another Malaysian Airlines disaster came pretty close to becoming a film, too (though what could be more terrifying than a movie about Malaysia Airlines Flight 370, the location of which is still a gaping mystery, is beyond me). Even the Boston Marathon bombings are rumored to be on the movie trail, with the rights to a book about the tragedy being book optioned by The Fighter screenwriters last summer.